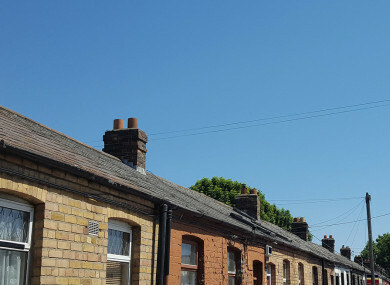 A LOAN SCHEME for first-time home buyers needs another €600 million if it is to continue for the next three years, as the potential cost of the scheme has tripled on the government’s estimates and no decision has yet been made on its future. Earlier this month, concerns were raised that the funds for the Rebuilding Ireland Home Loan (RIHL) scheme had run out. The opposition has said applicants seeking to buy their first home are waiting anxiously for news on the future of the scheme as the government has admitted there has been a greater demand than initially anticipated. The RIHL was launched by the government in February 2018. It’s a government-backed mortgage for first-time buyers which you can avail of through your local authority. The buyers can use the loan to purchase a new or second-hand property, or use it for a self build. On the application form for the scheme, it says eligible applicants must have a minimum deposit of 10% saved of the purchase price of the property. The Department of Housing, when launching the scheme last year, said that an initial tranche of €200 million was borrowed by the Housing Finance Agency (HFA) to fund the scheme. It was envisaged that that the drawdown of loans under the scheme would be €200 million over three years. However, through a parliamentary question from Fianna Fáil’s Michael McGrath, it has emerged that the Department of Housing is seeking an additional €200 million per year to continue running the scheme through to 2021. Through a series of other questions asked by rural TDs, Minister Eoghan Murphy also provided statistics on the number of applications made to the scheme in its first year of operation, the loans issued by local authority, and the final allocation to each council. At the end of February 2019, the Housing Agency had assessed 4,153 applications since the scheme began. Of these, 1,772 were recommended for approval. To the end of January 2019, a total of 575 loans were issued under the scheme to the value of €106,719,969. This means the average loan issued under the scheme was €185,599. However, the final allocations given to local authorities in 2018 had to be amended given the volume of applications. “These final allocations are reflective of an internal rebalancing exercise carried out by my department in respect of the approved allocations notified to the local authorities based on estimated drawdowns for 2018 as notified by the authorities,” Minister Murphy said. The final allocation for 2018 was €209,626,422, in excess of the €200 million originally indicated. Murphy told TDs that the RIHL “has proven to be more successful than was initially anticipated”. Despite the fears over future funding, he said the scheme remains open and all local authorities should continue to receive and process applications. Nevertheless, the RIHL scheme needs more money if it is to continue, and a decision has not yet been made whether that funding will be made available. This additional annual funding is to the tune of €200 million each year in 2019, 2020 and 2021. Donohoe has indicated the Department of Housing is carrying out a review of this scheme, in discussions with the Department of Finance, and the Department of Public Expenditure and Reform. This additional funding would need to be sanctioned before Housing could go ahead with it. Minister Donohoe said that, “to inform this review”, the Central Bank will prepare a paper to examine the “financial stability and macro-prudential impacts” of the RIHL scheme, including the impact on the residential property market of extending the scheme. Fianna Fáil’s McGrath said that, in Donohoe’s statements, “there is no indication as to whether this request will be approved or even when a decision will be made”. “In the past number of weeks, I have been contacted by many anxious prospective homebuyers who have applied for funding under the scheme,” he said. They are now left in the dark, with no indication as to whether additional funding will be made available under the scheme. McGrath concluded by saying that the government is more interested in “photoshoots and fancy launches rather than simply getting the job done”. “Their attempt to provide access to credit for first-time buyers has left a sour taste for many,” he said. In a statement to TheJournal.ie, a spokesperson for the Department of Housing said that its discussions with other departments “do not affect the current operation of the scheme”. “The Department has confirmed with all Local Authorities that the Rebuilding Ireland Home Loan scheme remains in full operation and that they should continue to receive and process applications. This includes approvals of applications at the various stages of the process,” the spokesperson said. And, also in a statement to TheJournal.ie, a spokesperson for the Department of Finance said: “The Departments of Finance and Public Expenditure and Reform are in discussions with the Department of Housing, Planning and Local Government with regard to the scheme. Minister Donohoe is awaiting views of CBI [Central Bank of Ireland] on the matter. Both the Minister for Finance and the Minister for Housing will be in a position to make a statement in due course. Email “Loan scheme for first-time buyers needs another €600m - but government yet to decide on stumping up cash”. Feedback on “Loan scheme for first-time buyers needs another €600m - but government yet to decide on stumping up cash”.